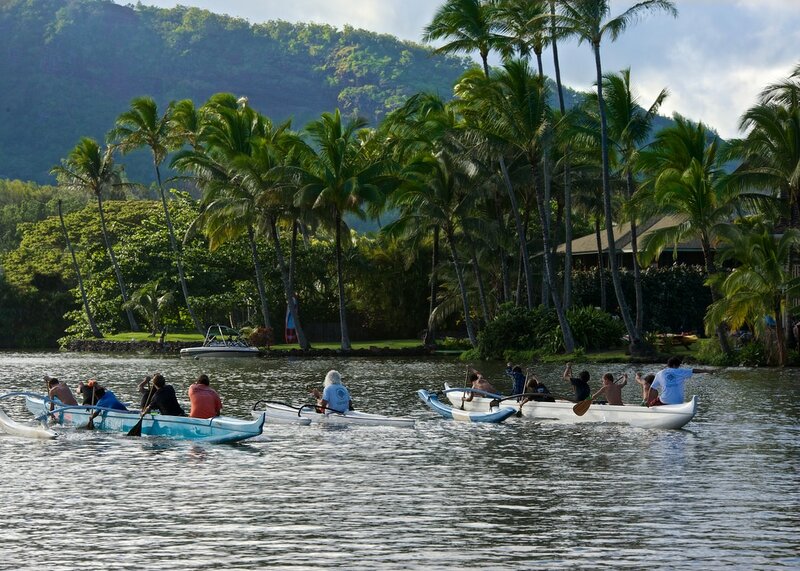 The Wailua BEACH and RIVER House is the BEST place to stay on Kauai! 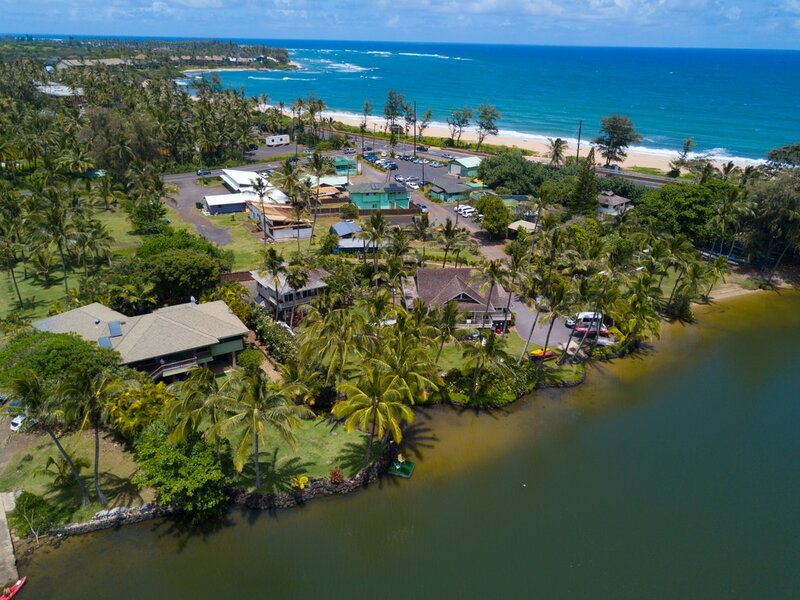 Your lawn sits right on the Wailua River, just steps from Wailua Beach. We provide kayaks, surfboards, paddle boards, boogie boards, mask & snorkel sets, bikes, and beach chairs. Water ski and wake-board right from your own dock! Wailua Beach is so close you can swim or walk to the warm sands of the beach. The Bike and Walking Path runs along the coast for more than 8 miles. You are not going to stay any closer to BEACH and RIVER activities! There’s a lot to do and see here in Wailua. At Lydgate Beach Park you'll find snorkeling in sheltered lagoons, picnic areas, and two exciting playgrounds for the kids. Go upriver to the Famous Fern Grotto, and Secret Falls Hike. Smith’s Luau is one of the very best on Kauai. Nearby you’ll discover the Sleeping Giant Hike, Opaekaa Falls, and Wailua Valley Lookout. You're going to love the house. We can sleep 12 guests in 5 Bedrooms and 1 Theater Room. There are 2 King and 2 Queen beds, plus 2 Queen Sleeper Couches, all in private rooms. 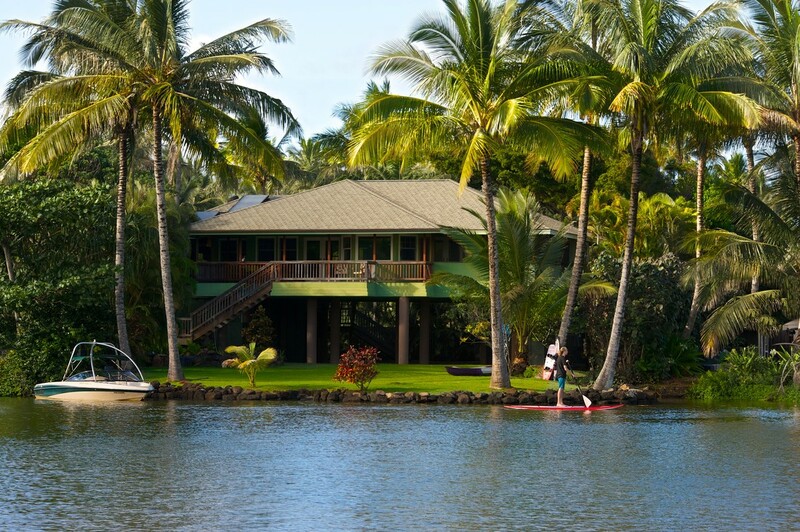 The Wailua River house is Pure Luxury in the middle of Paradise. You'll have all the amenities you expect in a high end home, including AIR CONDITIONING! Swim, kayak, stand-up paddle board, water ski, and wake board, right from your back lawn! Swim, boogie board, beach comb or ride the 8 mile bike path! Large Parties/Events are possible. Contact me for prices. I stayed here and was very satisfied with the entire house, it was clean comfortable and had everything we needed. The river was glassy and beautiful, I've water skied in many locations, without question, this was the best. We kayaked up the river to the Fern Grotto, and down the river (~150 yards) to the mouth of the Wailua river where we swam and surfed in the ocean waves! The home theater and spa were the perfect way to wind down after long day of playing. This rental helped make our dream vacation into many perfect vacation memories. I would highly recommend this rental to anyone considering it. 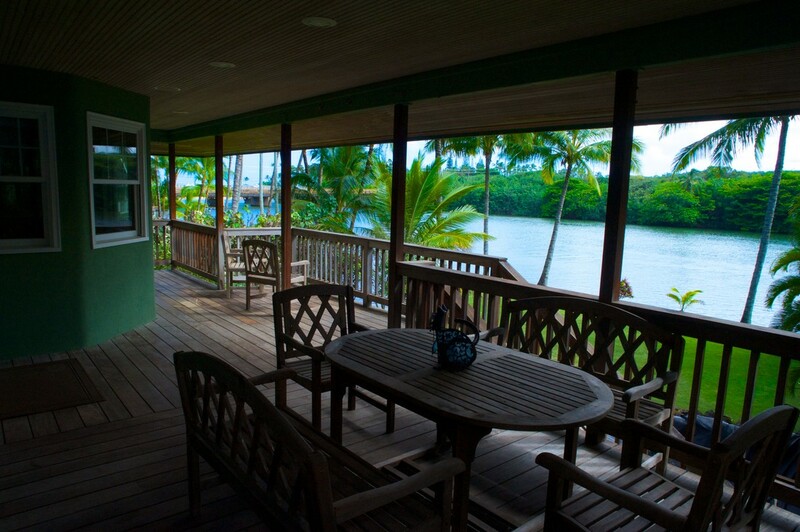 We stayed in the beautiful Wailua River house during our Hawaii vacation. We had stayed in a hotel in Waikiki, so what a treat it was to fly to Kauai and stay in such a beautiful home. The view from the house on the Wailua River was absolutely stunning! My children had so much fun walking from the house to the beach, walking back to the house and then playing in the river. The house is comfortable, clean and has everything you need. I had been wishing for a great beach chair during my Hawaii vacation and the owners of the Wailua house made sure I had one! The wrap around porch is one of my favorite parts of the house. While the rest of the family left to water ski on the beautiful Wailua river, I stayed and read a book on the porch. Bliss! This house is close to restaurants, beaches, stores and any where else you want to go. The owners are local Hawaii residents so they had great advice on where to go and what to do. There is plenty of space in this house to have little ones asleep while the bigger kids watch a movie and the adults visit. 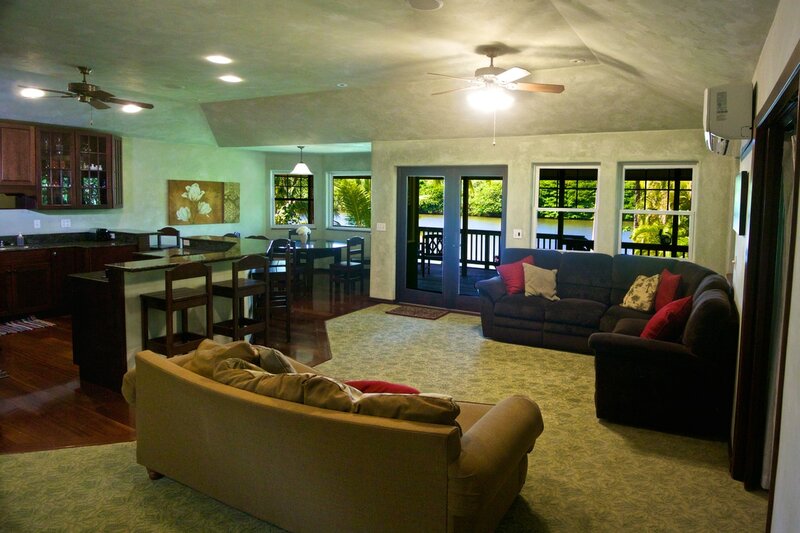 The open kitchen and living room area is a great gathering space with a gorgeous view. We will definitely be staying in this house again! Thank you for such an amazing time!